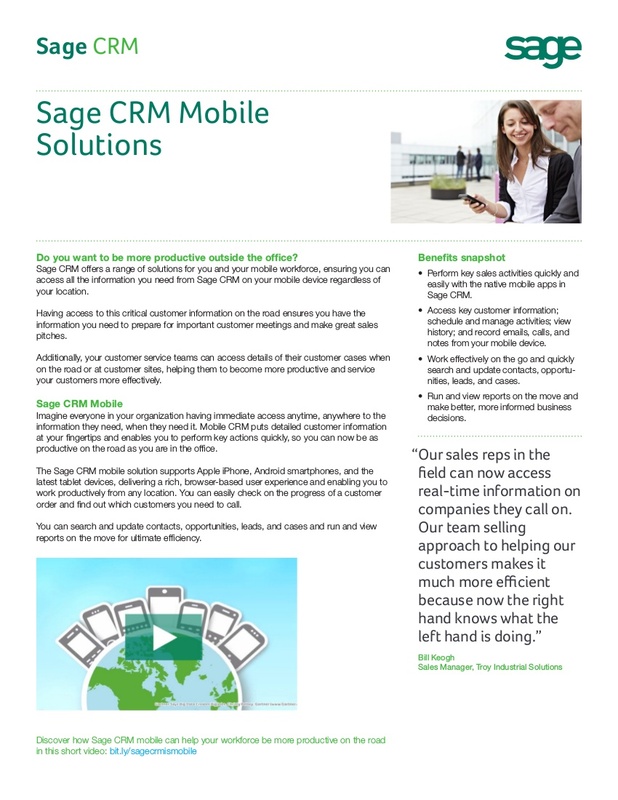 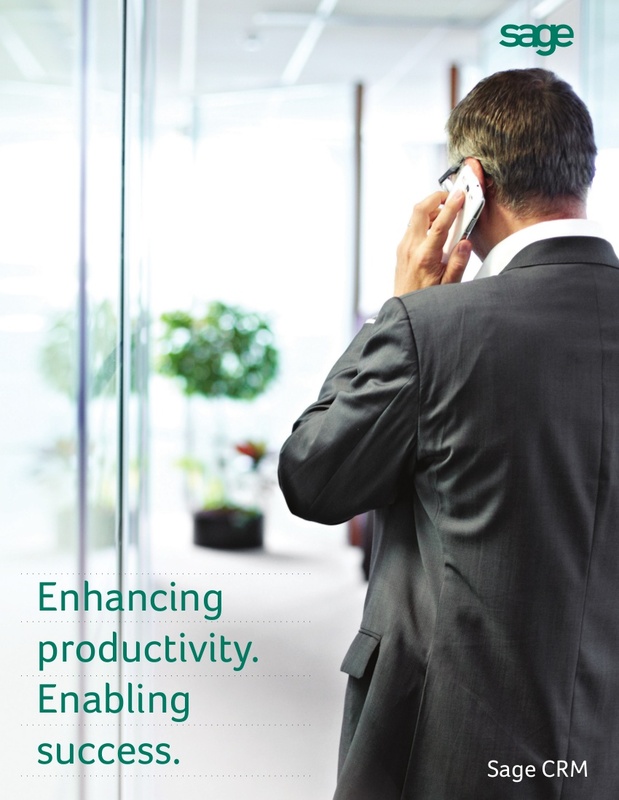 Sage CRM is a powerful, flexible, and intuitive CRM solution. 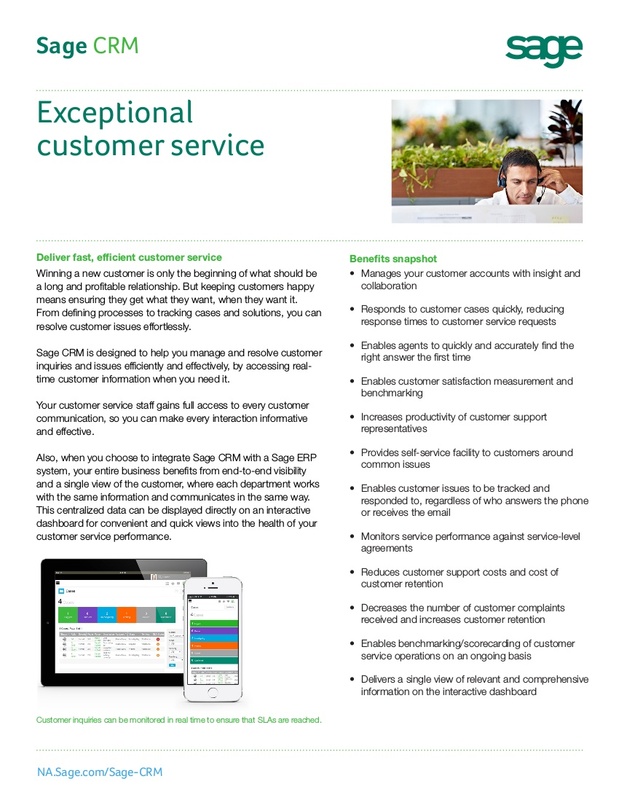 It provides everyone in your business access to the information they need to close sales faster and make every customer interaction count. 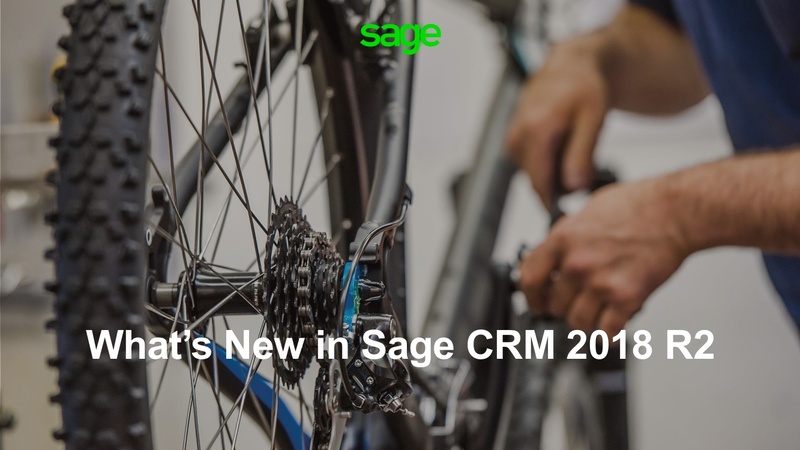 As a Sage customer you can choose from fully integrated CRM or Sage Sales, Marketing, Service modules to suit your business needs. 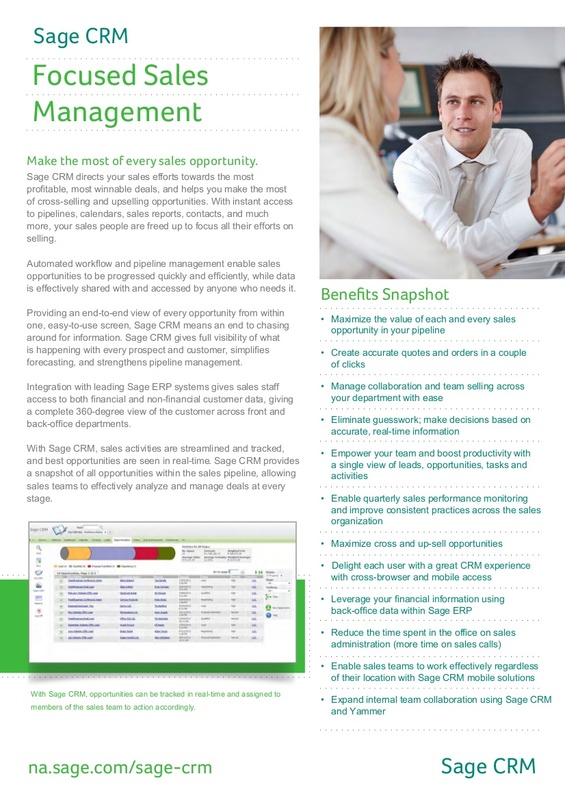 With access to a wealth of sales information your sales people are equipped to sell smarter and more efficiently, never missing an important deal. 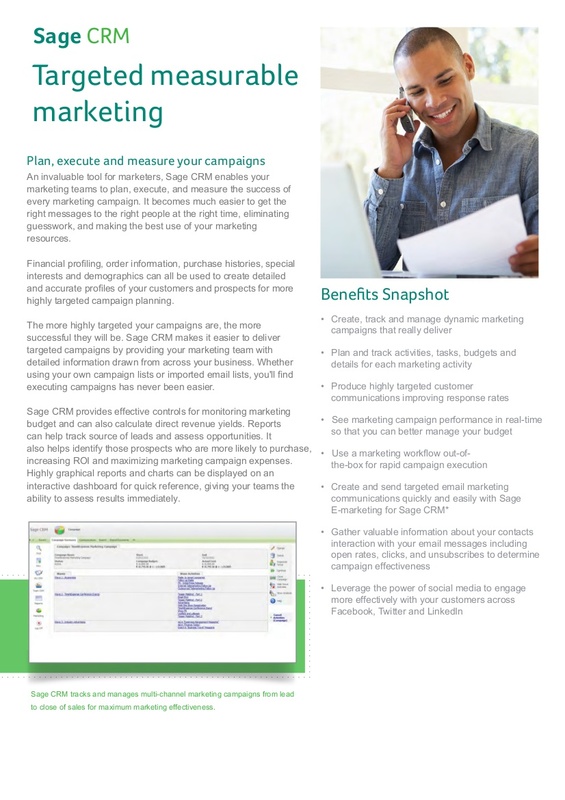 Market more effectively.